Who Says Magic Theory Has to Be Complicated? 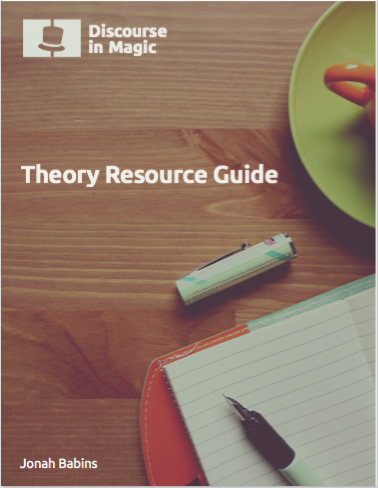 Get the Theory Resource Guide when you join the Discourse in Magic newsletter. Come find out where you can learn magic theory RIGHT NOW no matter your skill level!! Trust me the guide isn't even the best part...THE NEWSLETTER IS! © Copyright 2019 Discourse in Magic. All rights reserved.